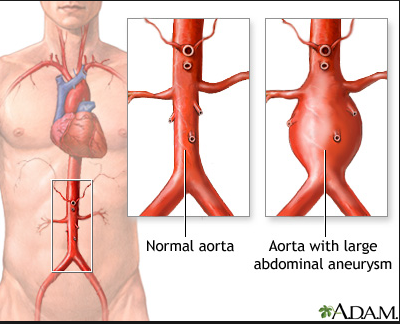 An abdominal aortic aneurysm is otherwise called AAA, from its abbreviation. The aorta is actually the largest blood vessel in the body. It is responsible for carrying blood from the heart to the head and then to the arms and down to the abdomen, legs, and pelvis in that order. 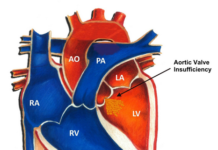 The aorta’s wall can bulge out when they become weak. This is called aortic aneurysm. But when this occurs in the abdominal region, it is called an abdominal aortic aneurysm (AAA). It is especially serious because of the size of the aorta. When it bursts, it is even more serious. This is when medical attention will be most needed. They are classified based on two factors that can help a doctor predict their health consequences. They are the size and the speed at which they are growing. They are the small/slow-growing and the large/fast-growing. This is determined when the size is less than 5.5 cm. Their risk of rupturing is much lower compared to the other variant –the larger ones. They can be consistently monitored by the doctor rather than treat them immediately. Their size is mostly greater than 5.5 cm. They are much more likely to rupture than the small or slow-growing ones. Their rupture is dangerous to health as they can lead to internal bleeding and other grave complications. In fact, the larger the aneurysm is, the more likely it will be treated with surgery especially when it is accompanied with blood leaking. The main cause of an abdominal aortic aneurysm is presently unknown but certain factors have been found to increase the risk of having it. 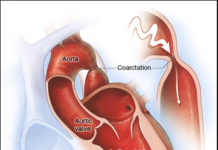 These factors are usually those that can directly or indirectly damage the walls of the aortic arteries and make them become weak and consequently bulge out. They include smoking, high blood pressure, vascular inflammation (vasculitis). Who is at risk for an abdominal aortic aneurysm? Those more likely at a risk of developing AAAs are; males, an obese or overweight person, people more than 60 years old, people with a family history of heart conditions and diseases, people suffering from high blood pressure, especially if they are from 35 -60 years old, those living a sedentary life, tobacco products smokers, abdominal trauma patients, atherosclerotic patients etc. Most aneurysms have been found to be without symptoms unless they rupture. The following symptoms can be seen in the absence of a rupture; clammy or sweaty skin, pains that spread from the abdomen or back to the pelvis, legs, or buttocks; sudden abdominal or back pains, increased heart rate, loss of consciousness (shock). An AAA that is yet to burst can be diagnosed by an abdominal examination or scan. Examining your stomach will entail the feeling of your stomach by a doctor to check for any rigid mass. The blood flow in your legs can also be assessed. The following procedures can also carry out; an abdominal CT scan, abdominal ultrasound, chest X-ray, abdominal magnetic resonance imaging. Treatment is based on the location, size of an aneurysm and your total health state. Surgery can be carried out by your doctor to either repair or remove the damaged tissue as the need may be. There are two ways to go about it – open abdominal surgery or endovascular surgery. Open abdominal surgery is a highly invasive procedure that involves the getting rid of damaged areas of the aorta. It is usually undertaken when an aneurysm is large and or has been ruptured. It can take up to 6 weeks for you to recuperate. Endovascular surgery is not as invasive as open abdominal surgery. 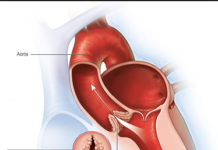 In this procedure, a graft is used to stabilize the aortic walls that are already weakened. 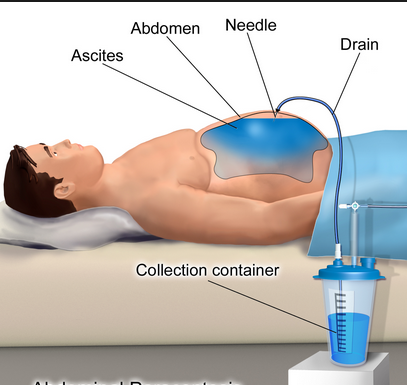 Recovery time for endovascular surgery is shorter than that of open abdominal surgery. It takes about two weeks. The success of surgery and well as its recovery depends on whether or not the aortic aneurysm is detected before it bursts. Prognosis is highly good if it is detected before it bursts. How can you prevent an abdominal aortic aneurysm? Watching and taking your lifestyle seriously is important if AAA must be prevented. You can do this by watching what you eat, how and when you exercise, avoiding smoking and indeed anything that can predispose you to develop a cardiovascular disease. Depending on the state of your health, your doctor may also recommend drugs manage hypertension, cholesterol or diabetes. If you are way above 65 for instance, it will be useful if you go for an abdominal ultrasound to assess the integrity of your abdominal aorta. This will help you be on a safer side as early detection can save you the consequences of not discovering on time. Ifiok Ene is a Medical Physiologist specializing in Cardiovascular and Blood Physiology. He is also an Amazon Author and Freelance Writer. Does Coffee Have Any Effect on Weight Loss?